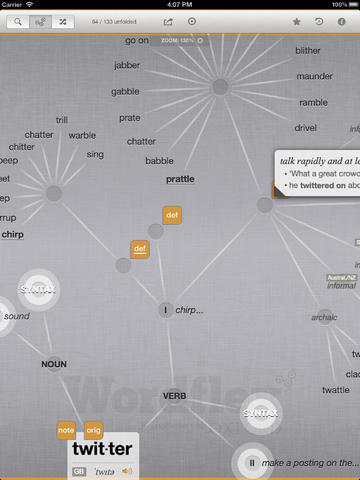 Wordflex Touch Dictionary: one of the most elegant dictionary apps available for iPad. It has more than 2 million language nodes for you to explore. It has flexible search capability, word poster sharing, and audio pronunciations. 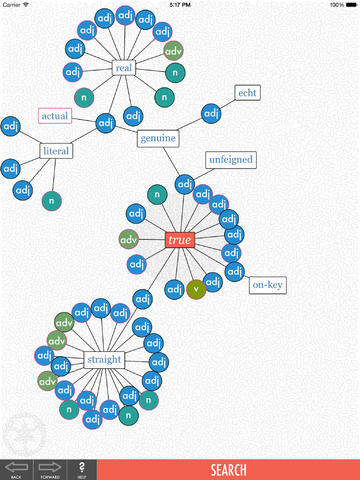 TheSaurus: an interactive visual thesaurus that shows words and their synonyms as a graph. You can interact with nodes and shake your device to see a random word. 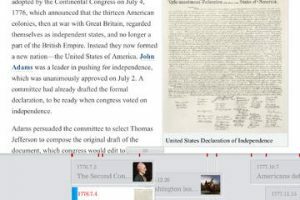 Thesaurus | Visual English Dictionary: another beautiful application with over 2,700,000 definitions, synonyms & antonyms. It has more than 100k example sentences for you to study. 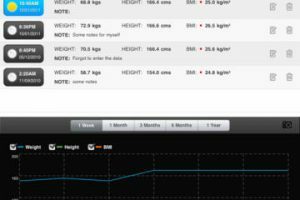 Which one of these visual thesaurus apps are you impressed with the most?